The Achaemenids were the ruling dynasty of Cyrus the Great and his family over the Persian empire, (550-330 BC). The first of the Persian Empire Achaemenids was Cyrus the Great (aka Cyrus II), who wrested control of the area from its Median ruler, Astyages. Its last ruler was Darius III, who lost the empire to Alexander the Great. By the time of Alexander, the Persian Empire had become the largest empire so far in history, stretching from the Indus River in the East to Libya and Egypt, from the Aral Sea to the northern coast of the Aegean Sea and the Persian (Arabian) Gulf. The vast region conquered by Cyrus II and his descendants could not, obviously, be controlled from Cyrus' administrative capital at Ecbatana or Darius' center at Susa, and so each region had a regional governor/protector called a satrap (responsible to and representatives of the great king), rather than a sub-king, even if the satraps were often princes wielding kingly power. Cyrus and his son Cambyses started expanding the empire and the developing an effective administrative system, but Darius I the Great perfected it. Darius boasted of his accomplishments through multi-lingual inscriptions on a limestone cliffside at Mount Behistun, in western Iran. 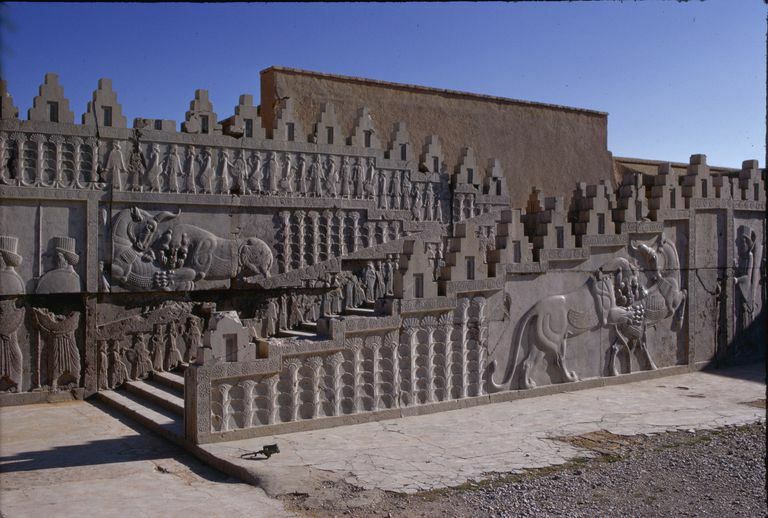 Architectural styles common throughout the Achaemenid empire included distinctive columned buildings called apadanas, extensive rock carvings and stone reliefs, climbing staircases and the earliest version of the Persian Garden, divided into four quadrants. Luxury items identified as Achaemenid in flavor were jewelry with polychrome inlay, animal-headed bracelets and carinated bowls of gold and silver. The Royal Road was a major intercontinental thoroughfare probably built by the Achaemenids to allow access to their conquered cities. The road ran from Susa to Sardis and thence to the Mediterranean coast at Ephesus. Intact sections of the road are cobble pavements atop a low embankment from 5-7 meters in width and, in places, faced with a curbing of dressed stone. Because the Achaemenid empire was so extensive, many languages were required for the administration. Several inscriptions, such as the Behistun Inscription, were repeated in several languages. The image on this page is of a trilingual inscription on a pillar in Palace P of Pasargadae, to Cyrus II, probably added during the reign of Darius II. The primary languages used by the Achaemenids included Old Persian (what the rulers spoke), Elamite (that of the original peoples of central Iraq) and Akkadian (the ancient language of the Assyrians and Babylonians). Old Persian had its own script, developed by the Achaemenid rulers and based partly on cuneiform wedges, while Elamite and Akkadian were typically written in cuneiform. Egyptian inscriptions are also known to a lesser degree, and one translation of the Behistun inscription has been found in Aramaic. Aminzadeh B, and Samani F. 2006. Identifying the boundaries of the historical site of Persepolis using remote sensing. 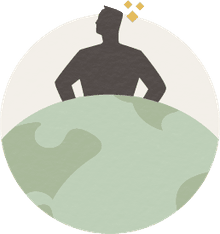 Remote Sensing of Environment 102(1-2):52-62. Curtis JE, and Tallis N. 2005. Forgotten Empire: The World of Ancient Persia. University of California Press, Berkeley. Dutz WF and Matheson SA. 2001. Persepolis. Yassavoli Publications, Tehran. Hanfmann GMA and Mierse WE. (eds) 1983. Sardis from Prehistoric to Roman Times: Results of the Archaeological Exploration of Sardis 1958-1975. Harvard University Press, Cambridge, Massachusetts. Sumner, WM. 1986 Achaemenid Settlement in the Persepolis Plain. American Journal of Archaeology 90(1):3-31.